A place that was long on my bucket list, these days we have quite the relationship. Like that of an old, comfortable friend. She gives me sun-soaked days, plays me the music of her kiss-ka-dees (Bermudian birds), whiles away my stress in her warm waters and restores my faith in kindness with her people. And, well, I give her my heart. A tiny island about 1,000km south east of North Carolina and 1,500km north east of Cuba, it’s hard to describe exactly where Bermuda is. 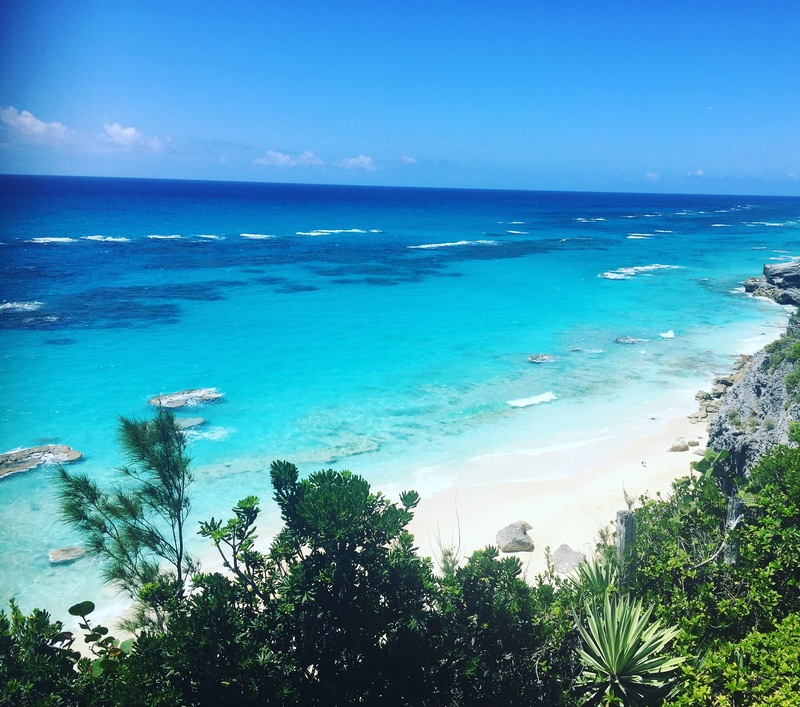 Tucked away in the middle of the Atlantic Ocean, Bermuda is home to approximately 60,000 people from all around the world, now happily residing in the middle of nowhere. Most famous for her world class beaches and impossibly pink sand, there’s so many reasons to add this stunning, sub-tropical island to your 2019 bucket list. 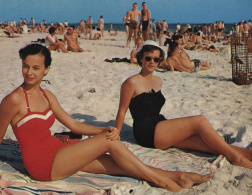 Of course, the beaches are the primary reason anyone would plan to visit an island. 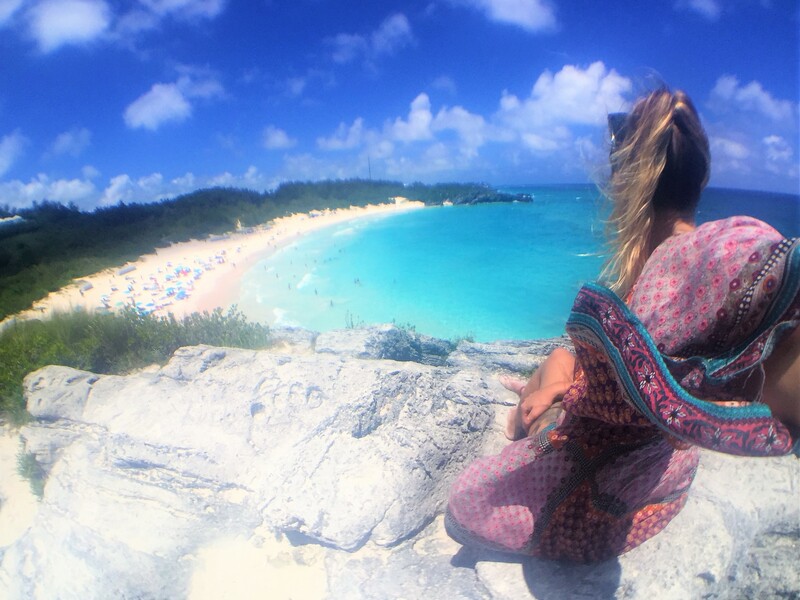 Bermuda’s beaches are, quite literally world class. The stunning pink beach at Horseshoe Bay lays on the island’s south coast and is by far the most photographed (and instgrammed) beach. 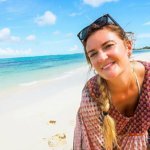 This gorgeous beach is rated at number 8 in the world by Conde Nast magazine and consistently storms into top 10 lists worldwide. It’s large beaches, warm waters and exceptional facilities, including a rum bar make it Bermuda’s most popular. A little further down the south shore, Warwick Long Bay is pretty much beach heaven. With less crowds and the same stunning pink sand as Horseshoe Bay, Warwick Long Bay promises sun seekers a whole load of secluded bays and beaches surrounded by cliffs for the ultimate private beach experience. There are no facilities in the area so be sure to stock up on water and other necessities. 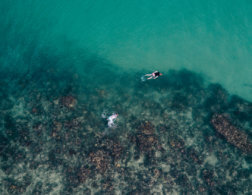 If you’re looking for calmer waters to relax and maybe snorkel, then head to the north shore beaches. These beaches don’t have the striking pink sand of the south shore but they more than make up for it with clear, still waters and breath-taking scenery. 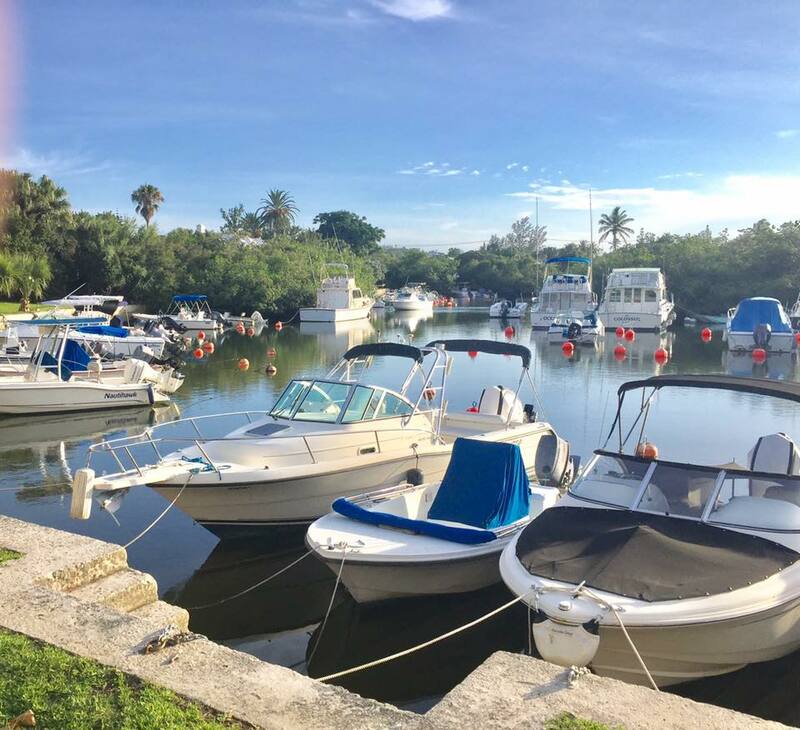 Shelley Bay and Tobacco Bay both promise an abundance of marine life and prove to be the perfect spots for unwinding in less adventurous waters. 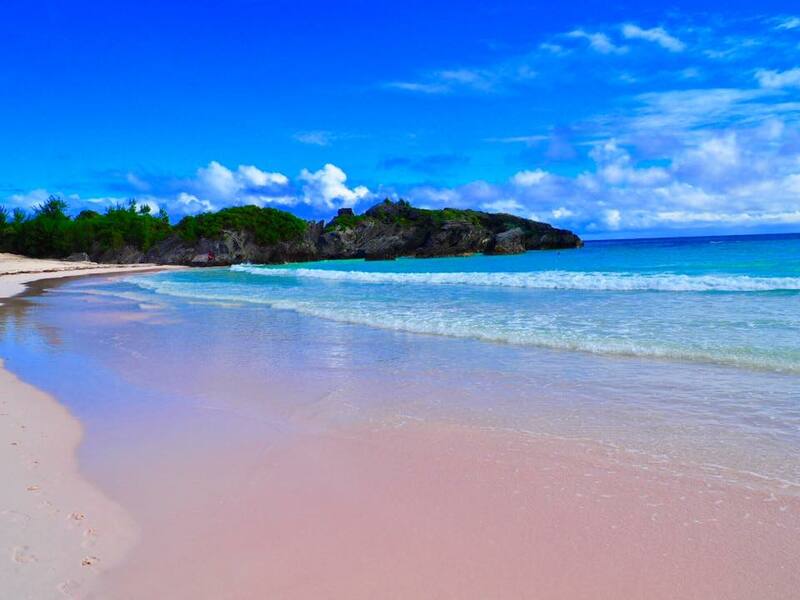 With over 35 world class beaches to choose from you’ll be spoiled for choice in Bermuda. 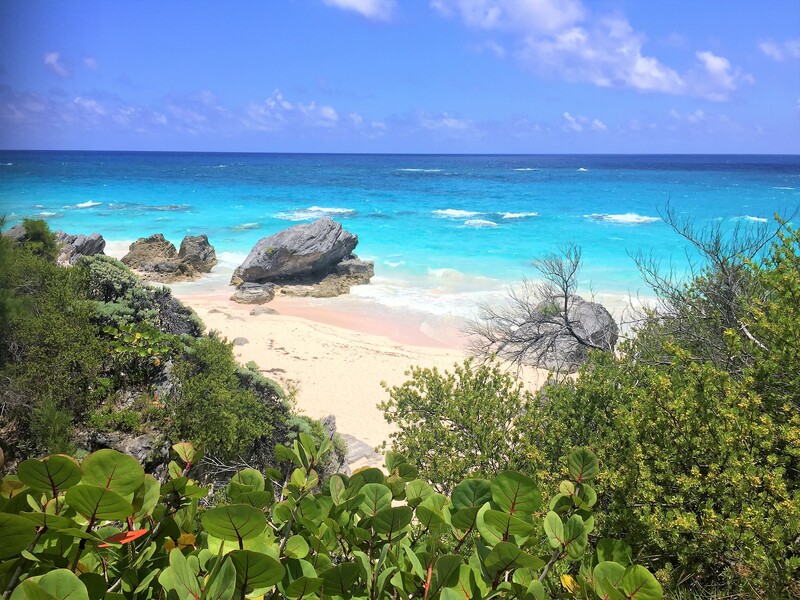 Bermuda enjoys a subtropical climate which means great temperatures year-round. This doesn’t mean to promise soaring temperatures in the winter months though. And that’s one of the many advantages of this gorgeous island. A tropical island feel, with seasons. Expect to wear a sweater in the winter months to keep the chill off. This being said, even in the winter the beaches are busy, people swim, and boats set sail. During the day the warm sun and bright skies make it completely possible to dine al fresco and enjoy some hiking. 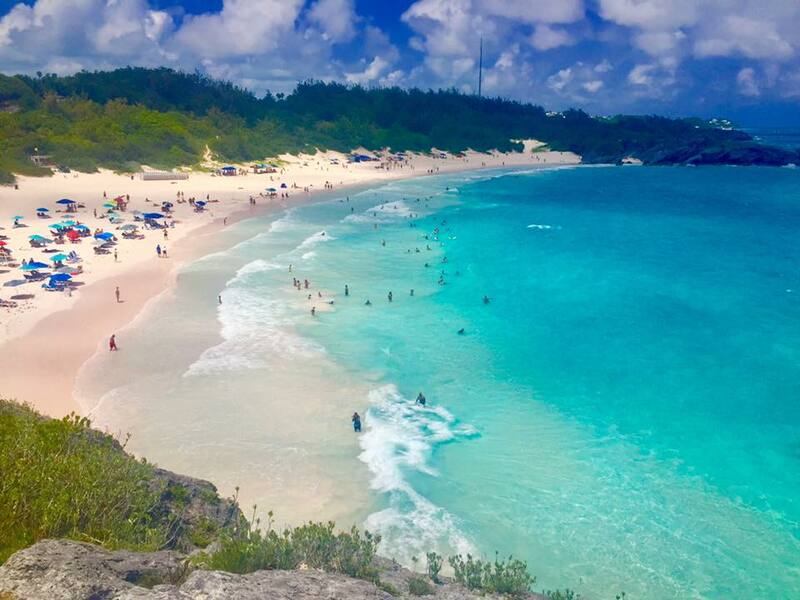 Probably the best time to visit Bermuda is September or October. During these months the humidity of the summer has passed yet it remains warm enough to enjoy the sunshine and to swim in the sea. It’s worth mentioning that Bermuda sits on a hurricane belt. With the official hurricane season running June through to November. Although the island hasn’t experienced a hurricane since 2016, through these months, Bermuda is on high alert. Bermuda is an island filled with food and drink choices. A fusion of heritage from Caribbean, British, American, African and Portuguese. Bermuda seriously knows how to knock the socks off any foodie. Classic Bermudian dishes include fish chowder, a tongue tingling mix of fish meat (often wahoo), fish broth, tomatoes and herbs and spices. Expect your local soup served laced with rum for a truly Bermudian experience. Another classic dates all the way back to the 18th Century. Not for everyone though, codfish, bananas, eggs and potatoes are served at breakfast. Enough to set anyone up for a day of exploring. And, of course, the only drink to be seen with. 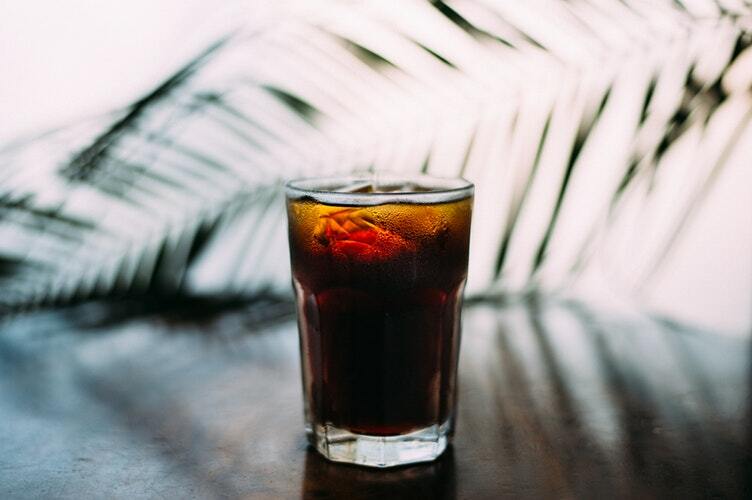 The dark ‘n’ stormy. Rum, ginger beer and a slice of lime. Invented in Bermuda just after World War I. Never underestimate how moor-ish (and how strong!) these cocktails are. Don’t be fooled. 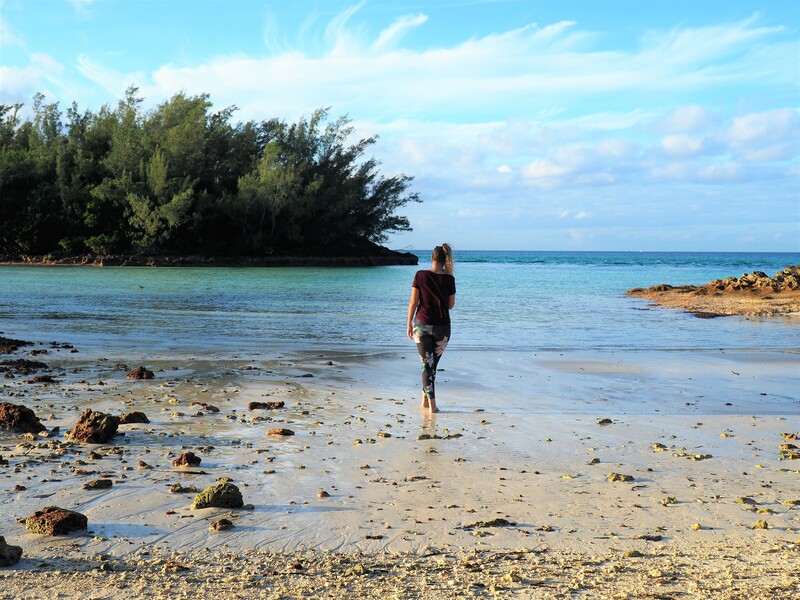 Bermuda is most definitely not only about gorgeous beaches and year-round sunshine. The island’s eclectic cultural and heritage background truly make it a place like no other. Feed your inner culture vulture with an array of museums and exhibitions. From art, through to history, shipwrecks, the legendary triangle, the gunpowder plot and of course, the Bermuda shorts. There’s definitely something for everyone on this beautiful island. 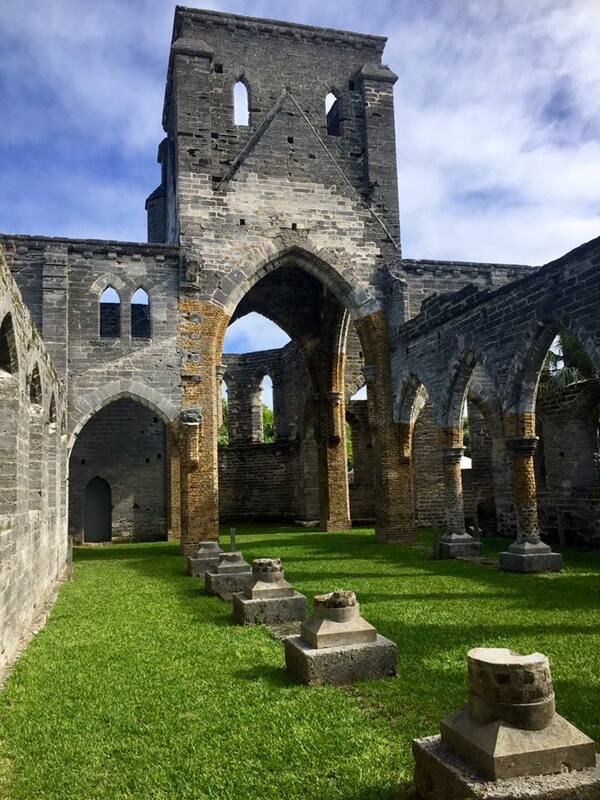 The historic old town of St Georges, Bermuda’s original capital city was founded in 1612 and is worth a visit for its old English charm, quirky shops and world class restaurants. A 5-minute uphill walk will take you to the unmissable ‘unfinished church’. Constructed in the year 1847, the gothic masterpiece was never completed. Today it is covered in tropical foliage and the picturesque ruins are protected as part of the St George’s heritage site. 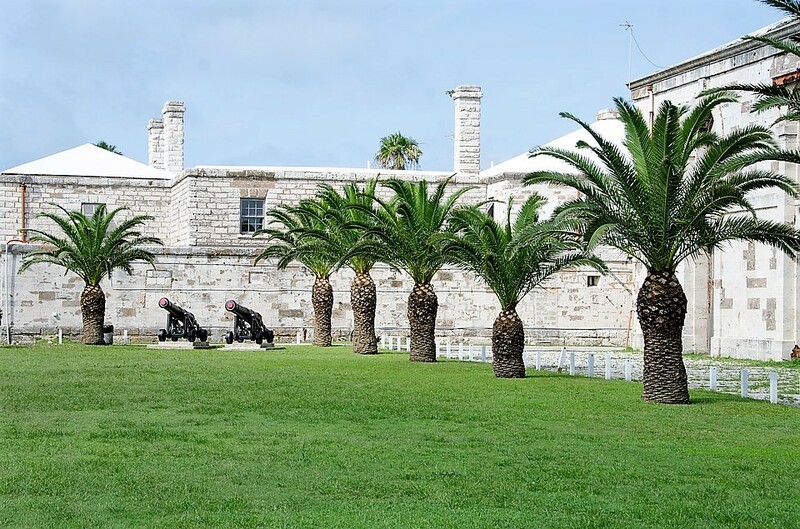 The Royal Naval Dockyard, known simply to locals as ‘dockyard’ dates way back to 1809 when the British were no longer allowed to use US ports. 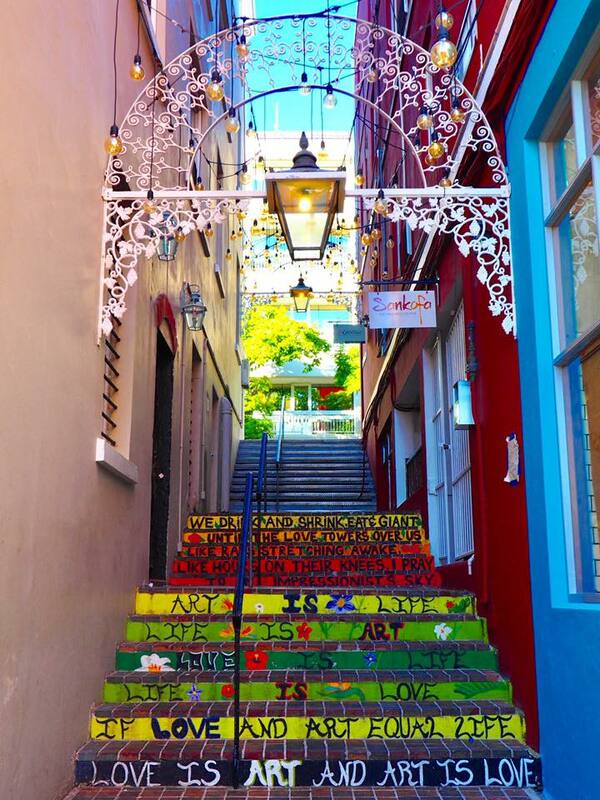 It is home to a colorful history and stories of attacks and imprisonment. The site is littered with pubs, restaurants and shops, as well as the National Museum of Bermuda. The perfect place to polish up on your Bermudian history (it’s an interesting one). 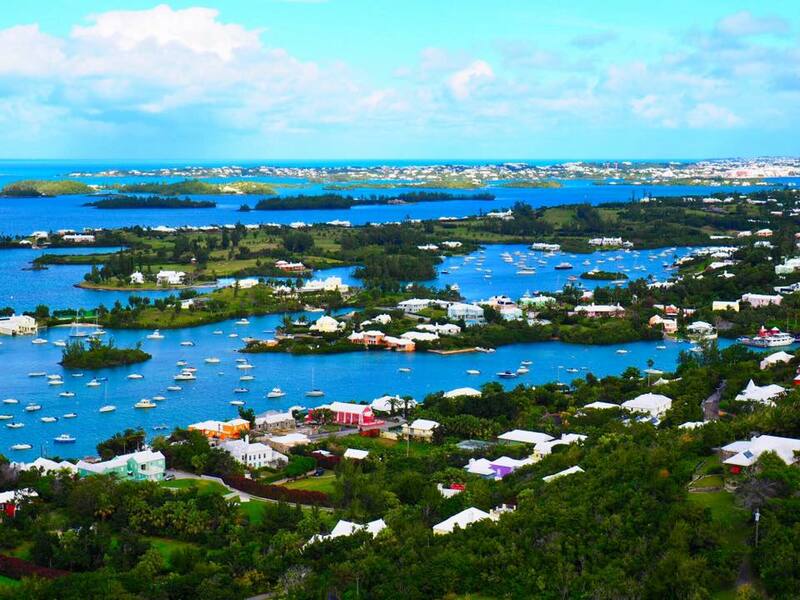 For a tiny island, Bermuda crams in so much history. And with it, an abundance of beautiful churches. 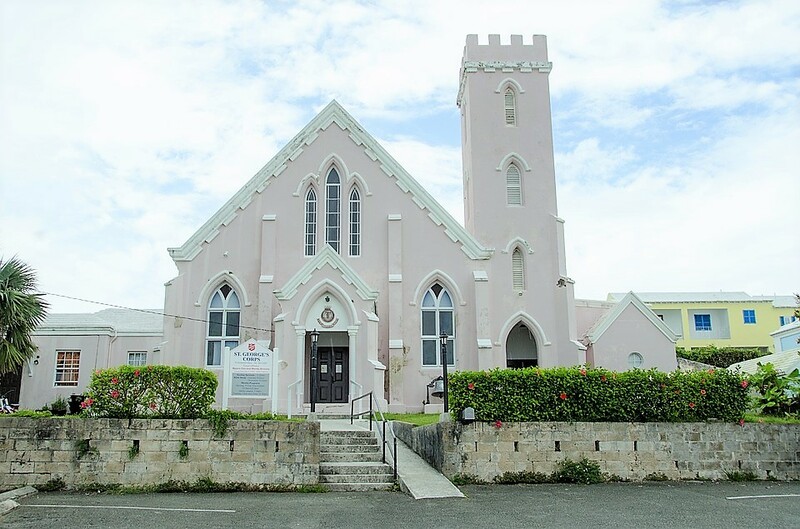 All colors of the rainbow to match Bermuda’s island wide architectural theme, these impressive houses of worship are worth a stop on your sightseeing journey. You absolutely mustn’t miss the Gombeys whilst in town. Often seen (and heard) lighting up the streets of Hamilton on a Saturday around lunchtime. The Gombeys are traditional Bermudian dancers. Deriving from Caribbean and African heritage they play an unforgettable rhythm on the drums, blow whistles and dance in brightly colored and intricate masquerade. A simple walk around Hamilton, the island’s capital is bound to impress with its many gardens, forts and breath-taking harbor views. The perfect place for a sunset stroll. 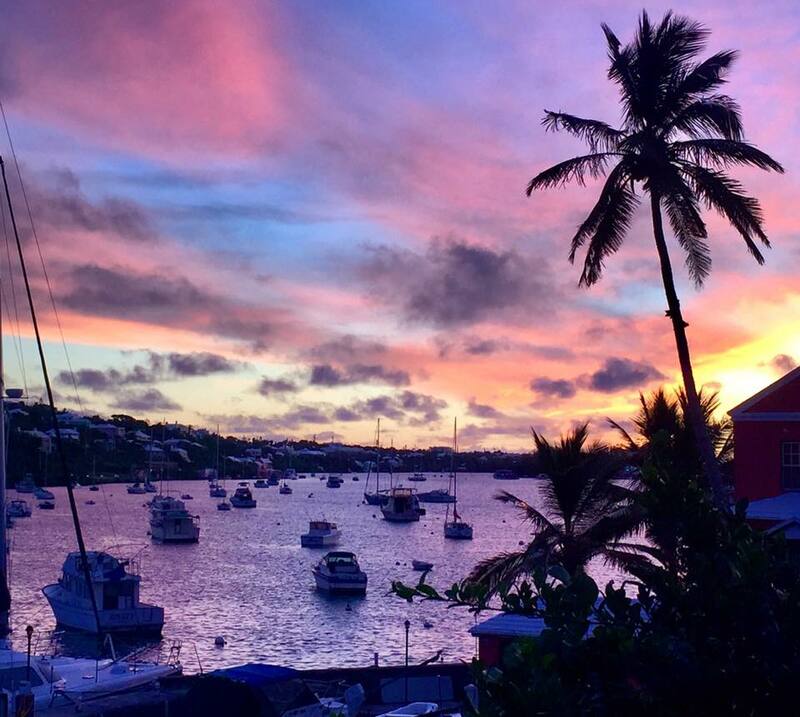 Bermuda’s sunsets are notoriously stunning. Over the years, Bermuda has become a popular host to an array of sports activities. Not only is the island known as a golfer’s paradise, boasting 6 world class golf courses, it’s also a bikers and hikers paradise. 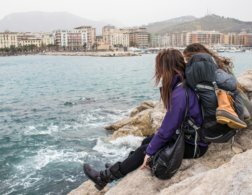 Few places can be walked or biked in a day from one end to the other. 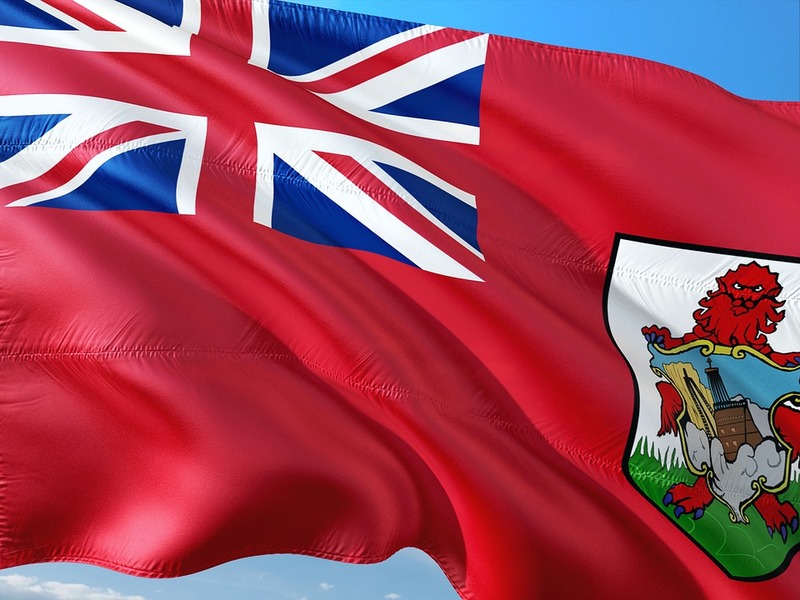 Bermuda is one of them. 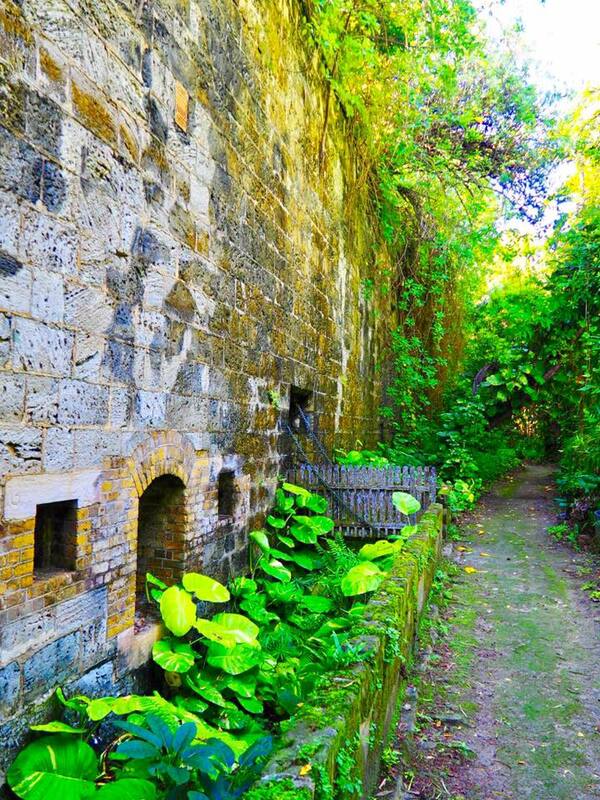 The legendary Railway Trail is a walking and biking path which lays on the site of (yep, you guessed it), Bermuda’s long abolished railway track. As a result, you can (pretty much) walk the whole span of the island. The trail is safe and littered with beautiful flowers and tropical foliage. But best off all, the views are to die for. 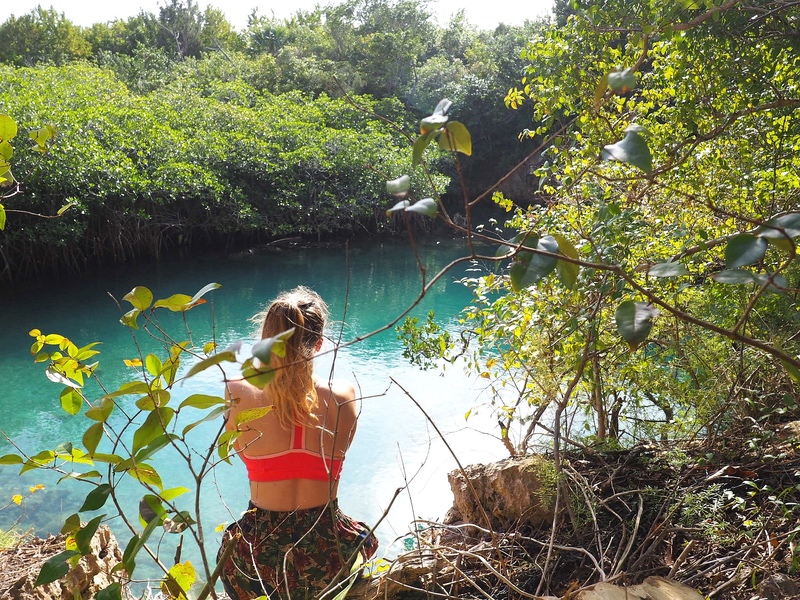 Tom Moore’s jungle is another great hiking spot, with the benefit of caves and water holes to cool down in during the summer months. For two days during the summer, Bermuda’s most popular sporting event takes place. 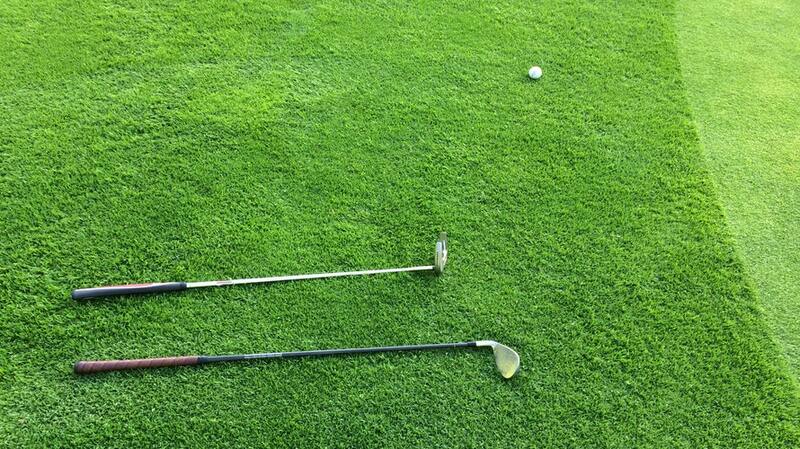 Cup Match. An annual cricket match between two island rival teams. This year the dates have been announced as 1-2 August 2019. A public holiday on the island, expect loads of fun, from street parties to concerts. Way more than just a pretty place. Is it any wonder I give Bermuda my heart over and over again? It's really is a beautiful spot! 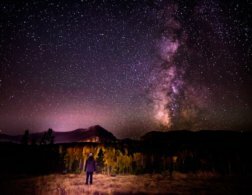 Hello Gemma, please tell me the cheapest way to reach this place because flight ticket is too much costly and my family members are 10 so tell me which will be best for me. 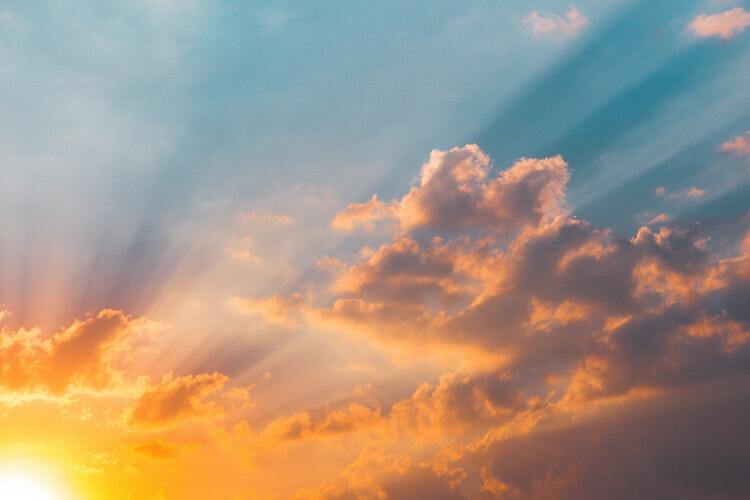 Hi there...I always use flight search apps like Skyscanner but it really depends where you're coming from and helpful to consider many different routes.